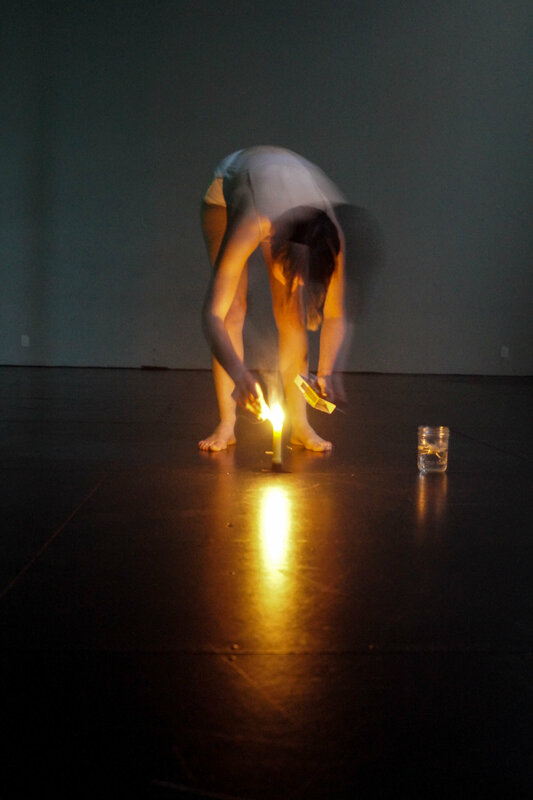 Held: A triptych of solo performance events exploring the interstitial spaces within a single, gendered body and around and between bodies as subject and object, incorporating processes of sound, movement, and light. Our bodies are the bearers of voids. They can construct or deconstruct. Based on ideas of reclaiming the "feminine void," an idea that pervades from western art and philosophy, and which continues to impact the social gendering of bodies. A simple object, a body in space, and a series of correlated sensory processes.